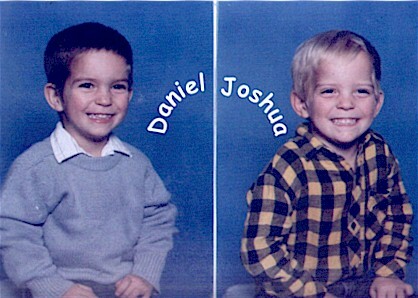 What's life without 2 "RugRats" called Daniel & Josh. My most precious grandchildren. I don't get to see them often enough, because we live in different states. But proud?......You Bet!!!!!!!!!! They are, without a doubt, the sunshine of my life, & the song in my heart. My son did a fabulous job!